Polished Concrete is a process that involves grinding the concrete with a diamond polisher which transforms the appearance of the concrete to produce a shiny, glass-like floor. It enhances the natural qualities, beauty and strength of the concrete and is ideal of industrial and commercial floors. Polishing is similar to grinding and sealing in that it produces a clean raw surface initially. However, the goal is to get that clean new surface refined to a glossy finish. This is accomplished by honing the surface with a planetary grinder using progressively finer diamond pads with each pass. This continues until the desired sheen is achieved. Gemstones are polished in a similar fashion. The highly densified finished surface is extremely stain resistant and durable without the need for a topical sealer. No matter what type of floor you have, Elite Crete Atlanta has the solution for your floor. 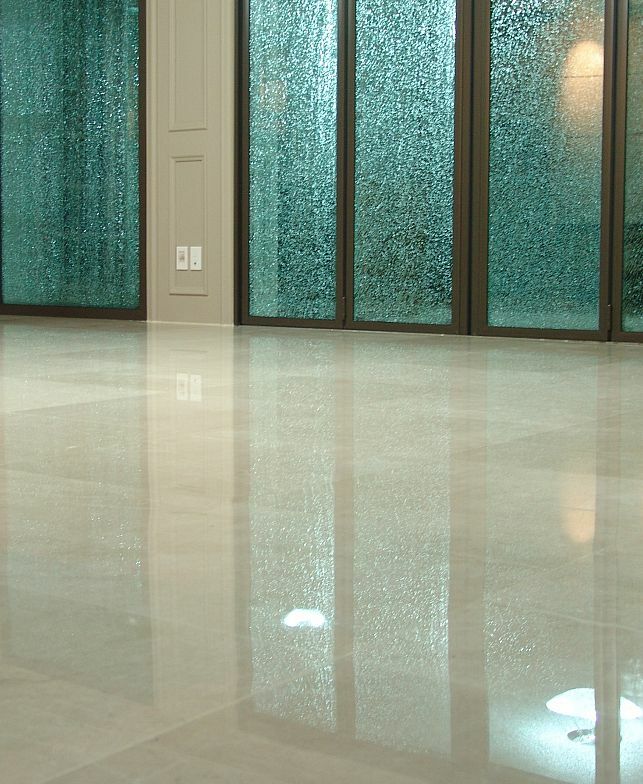 Whether it is an old floor you want to renovate, a concrete floor you want to polish or grind or just to find a way to maintain your floor – Elite Crete Atlanta has the answer. Concrete floors deserve better treatment than just being walked on. A properly polished floor will really make you appreciate the advantages of having concrete as an exposed floor surface. Dirty, gray concrete floors are transformed into brilliant, easy-clean, environmentally-friendly and durable polished concrete floors. It simply requires some thought.